In this exciting new and more comprehensive format you will learn about the myofascial tissue and its many roles in the body. Participants will see the fascial tissues in context and how they are interdependent with the other body systems. From there we begin to appreciate how the body incorporates the Anatomy Train Lines to create easy and graceful movement – provided they are in some form of balance and harmony; restriction or weakness in one section can have many knock-on effects elsewhere. This workshop will show you how that happens, how to trace the lines of strain and, most importantly, some strategies to deal with them. This is the first workshop to combine Anatomy Trains theory alongside structural and functional anatomy and analysis. It blends the concepts of tensegrity with elastic recoil for movement efficiency and illustrates how we use the Anatomy Trains as lines of force transfer. We will address differential diagnosis to help identify motor control or soft tissue restrictions and where they may be coming from – we will show you the interdependent relationships between many of the tissues and how they interact. This exciting and fun workshop is delivered with clarity and with your practice in mind – you will have useful and usable skills by the end of the four days. In the first 2-day section of this workshop we will introduce you to the first four main lines –Superficial Front and Back, Lateral and Spiral. For each of the lines we will teach you a range of movement assessments and you will learn the basics of Fascial Release Technique. The second section will cover the remaining Anatomy Train lines (Deep Front Line, Arm and Functional Lines) and allow deeper exploration of the main concepts behind the whole system – structural and functional analysis and refining fascial touch skills. Research will be referenced showing the roles of fascia in the body, making this an up-to-date and highly effective skill-building workshop. This will include a synthesis of Robert Schleip’s work on how we can affect the fascia through stimulating different mechanoreceptors. Further, we will draw from the approaches of many other top researchers and practitioners from across the world of fascial manipulation and functional anatomy. Learn to see and correct the myofascial patterns of the body – by gradually building BodyReading skills you will learn to interpret movement and postural patterns. We all want to have a 3-dimensional vision of the body and this workshop is the first step towards establishing those skills for yourself. Strategies – we will teach you to reliably connect with the fascial tissues, the many ways in which you can mobilise them and, most importantly, the reasons why you would do it and when. A range of powerful techniques will be presented in the context of their structural and functional influences making this a unique workshop that will lead you to the deeper skills explored through the rest of the series. Learn the full system – Following on from the Anatomy Trains workshop we offer a Structural Bodywork and Structural Integration training. The next step on both paths is the FRSB series of workshops that will give you the latest research information and put it in a useable context, making sure that you can be maximally effective in our application of fascial release. The world of myofascial anatomy is quickly expanding and we aim to keep you up to date if not ahead of the curve. Review of the AT lines in static posture and introduce functional movement assessment. To give more familiarity to the use of Bend, Tilt, Shift, Rotate and how they relate to the body positioning along with developing Fascial Touch Skills. To relate the BodyReading to Fascial Release principles of assisted and resisted releases, movement of planes of tissue, separation/differentiation of planes, relaxation of tension and using Schleip’s mechanoreceptor model to communicate different intents. To relate global and local tensegrity – expresses vs locals – AT lines vs single muscles, and to understand the necessity of balancing locally as well as the overall posture. Participants will exchange palpation and practice BodyReading (visual assessment) on one another under supervised analysis of instructor and assistants. 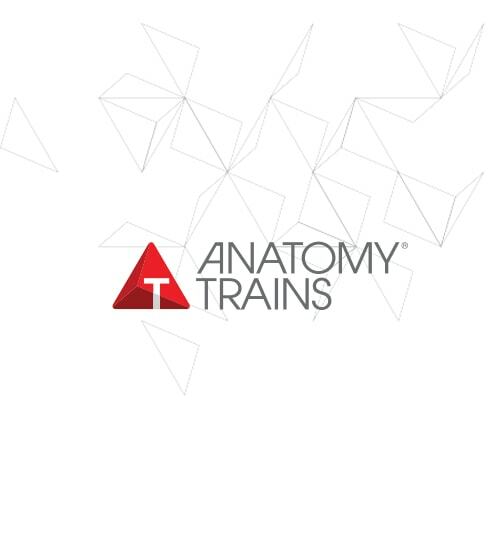 Anatomy Trains is the perfect introduction to myofascial anatomy for any manual therapist. It is also the first essential step along the path to training in Structural Integration with the Anatomy Trains protocol (Kinesis Myofascial Integration). Functional movement assessments and palpation skills are included within the class alongside standing and table based manual therapy. It therefore gives a range of skills and a new vocabulary to practitioners of various disciplines. The manual therapy and BodyReading elements require some degree of disrobing that is done discreetly and no-one is forced to any level beyond their comfort.